Long before Matt Luke was officially named the head coach of Ole Miss Football, before he declined several other scholarship offers to stay home and play at Ole Miss as a walk-on, he was just a kid from Gulfport. One may wonder why anyone would give up opportunities such as paid tuition and the strong likelihood of playing time early in one’s career, but it was never a question for Luke of where he was going to attend. It was Ole Miss. It’s in his blood. The Luke family is legendary on Ole Miss’ campus. Luke’s father, Tommy Luke, played defensive back for the Rebels in the 1960s under Johnny Vaught during the Rebels’ “glory days.” He wound up at Ole Miss because his sister was enrolled there at the time. 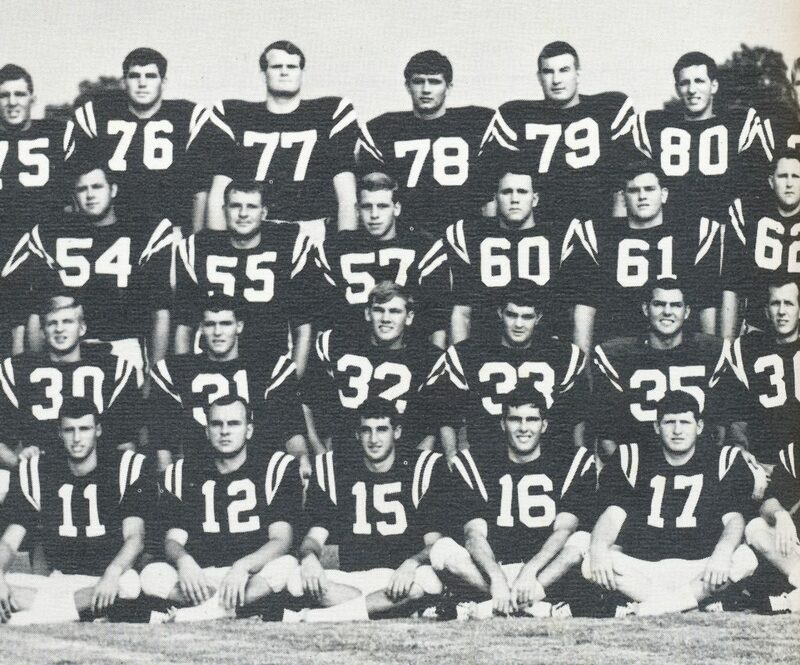 Head coach Matt Luke’s father, Tommy Luke (35), poses for a team photo in 1967. What the siblings didn’t know at the time was that their decisions to attend Ole Miss would shape their family’s lineage, the history of Ole Miss and the Rebel football program for generations to come. Matt Luke grew up sharing a room with his older brother, Tom, in Gulfport. He was born and raised on the Gulf Coast and attributes much of who he is today to his upbringing there. Matt and Tom Luke are seven years apart, so there wasn’t really much competition between the two in anything. Sports, wrestling or whatever it was, the age gap was just too vast for Matt to make up. The brothers’ love for Ole Miss stems from their father, who, admittedly, didn’t have to push his love for his alma mater onto his sons. The Luke family would travel to Jackson or make the drive up to Oxford to see the Rebels play as often as possible, but living in Gulfport with three kids didn’t make that an easy task for Tommy Luke. In his early years, Matt Luke wasn’t the sports guy that one might expect a future head football coach to be. He was more into Star Wars and things of that nature until he got up to third grade, when he started playing football. Throughout Matt Luke’s childhood, family trips to watch his brother play occurred near-weekly. These frequent mandatory outings may have stunted Matt Luke’s personal interest in playing sports. When he finally did start playing, though, he was prepared. Although he wasn’t the athlete that his brother was, Matt Luke had a strong work ethic instilled in him as a child. Tom Luke approached high school graduation with several scholarship offers on the table. However, he didn’t yet have one from the only school that mattered to him: Ole Miss. Eventually, Ole Miss did offer him a scholarship to play quarterback and, along with that opportunity, a chance to continue his family’s legacy in Oxford. 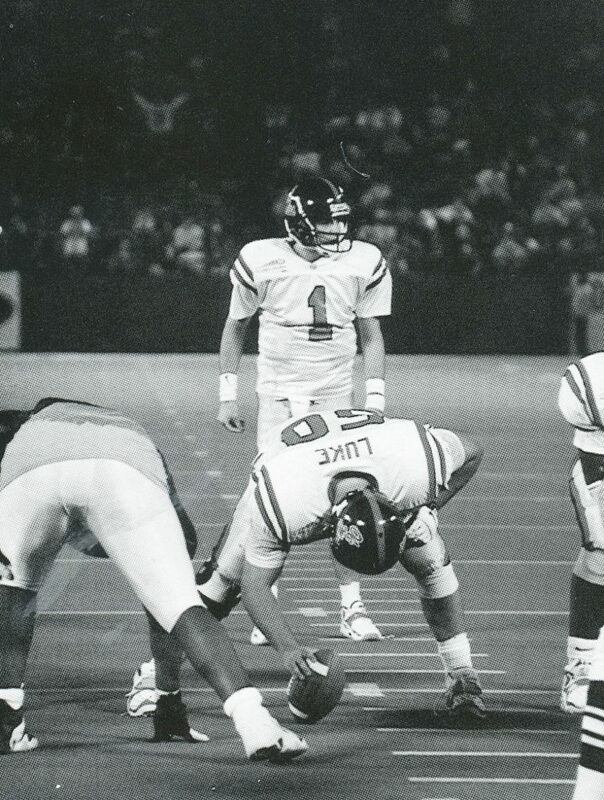 Playing at quarterback for Ole Miss from 1989-91, Tom Luke had a solid career under center for the Rebels. Because he was a quarterback, Tom Luke had a different playing style than his brother, who was a lineman in both high school and college. Four years after his brother graduated from Ole Miss, Matt Luke graduated high school and received several scholarship offers. However, like his brother before him, he did not have one from his dream school. He contemplated accepting an athletic scholarship to Rice but ultimately decided against it. Instead, he chose to take on the challenge of walking on to the Ole Miss football team. 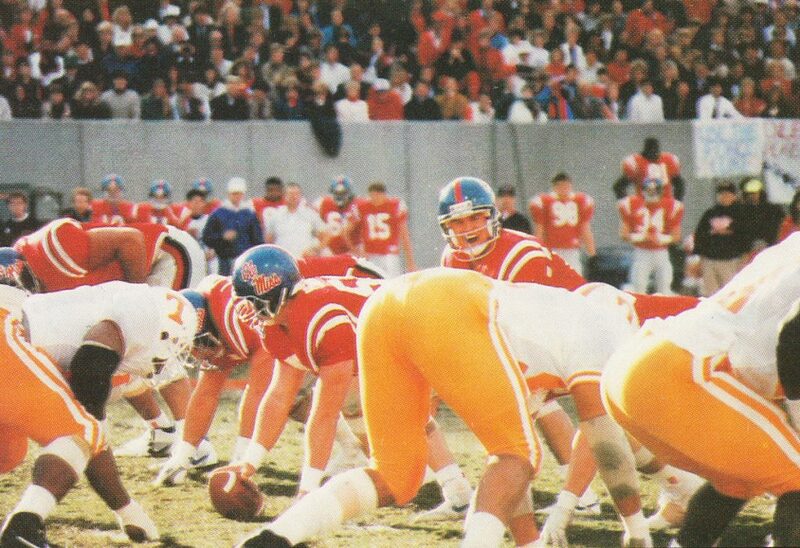 Matt Luke was right — he successfully walked on and played at center for Ole Miss from 1995-98. He eventually became a leader in the locker room and ultimately served as a team captain. He had no intentions of becoming a coach until he got his first taste of coaching during his final year of playing for Ole Miss. Ole Miss wound up winning that game convincingly — with a final score of 35-18 — under interim head coach Cutcliffe. Matt Luke had played an integral role during the matchup, both on the field and behind the scenes on the chalkboard. That game was the pivotal moment in Matt Luke’s career — a moment that would change his life forever. Originally, Tommy Luke was averse to either of his sons getting into the coaching profession. Matt Luke spent his fifth year at Ole Miss as a student assistant coach to Cutcliffe. Luke had exhausted his eligibility as a player, so for him, this was the next best thing. Following that year of student coaching, Matt Luke graduated and was forced to go elsewhere to gain more coaching experience. So that’s what Matt Luke did. He spent two years as Murray State’s offensive line coach to prepare himself for a return to a position in an SEC program. Cutcliffe kept his word. In 2002, he rehired Matt Luke as an offensive line and tight ends coach, a position which Luke held for three seasons. In 2004, Ole Miss fired Cutcliffe and replaced him with Ed Orgeron, who retained Matt Luke on the coaching staff for just one season. Following the 2005 season, Luke — who continued to hold the same coaching position — served under Cutcliffe at Tennessee for two years before following him to Duke. There, Luke served as a co-offensive coordinator and the offensive line coach. After six years away from Oxford, Matt Luke was rehired by the university in 2012, when Hugh Freeze became the head coach. Under Freeze, Luke spent four years as a co-offensive coordinator and the offensive line coach. During Freeze’s tenure, Tom Luke’s son Cale Luke continued the Luke tradition by enrolling at Ole Miss. He was the third generation of the Luke family to attend Ole Miss, and like his uncle, Cale walked on to the football team and received a scholarship before his time in Oxford was up. “Watching (Cale) graduate was more fun than anything,” Tommy Luke said. In summer 2017, Freeze resigned as the head coach of Ole Miss Football because of allegations of personal misconduct. Matt Luke was named interim head coach on July 20, 2017, as the Luke name became even further embedded in the lore of Ole Miss. As Ole Miss’ interim head coach in 2017, Matt Luke led the Rebels to a 6-6 record. That may not sound too impressive at first, but considering that he was thrust into the position late into the offseason, finished 3-1 in the Rebels’ last four games and topped the season off with a road win in the Egg Bowl, Luke showed that he can win at the college level. Following the Rebels’ Egg Bowl victory in Starkville, Ole Miss removed the interim tag from Matt Luke’s title and introduced him as the new head football coach. Luke’s dream of becoming a head coach was finally achieved at his destination school, his alma mater.